The first half of Frederick Taylor’s “Exorcising Hitler: The Occupation and Denazification of Germany” covers much the same ground as Ian Kershaw’s “The End,” reviewed here two weeks ago. Taylor also begins with the Nazi war machine facing certain defeat in 1944 but fighting to the end, inflicting casualties and pursuing its cruel policies until the regime finally collapsed. Taylor’s story takes off, however, at the point where Kershaw’s ended, with the capitulation of Nazi German in May 1945. Kershaw had concluded that a long process of reckoning was about to begin. Taylor describes that process in detail, delving into questions of accountability and collective war guilt. 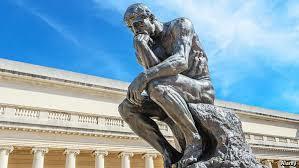 But his work is not an abstract philosophical inquiry into profound moral questions. Rather, Taylor addresses methodically the ground level, practical considerations that drove the victors’ determination of the degree to which average German citizens and soldiers should be held responsible for the crimes of the defeated Nazi regime. At Potsdam in July 1945, the United States, Great Britain and the Soviet Union devised a strategy to exorcise the vestiges of the defeated Nazi regime. The three powers agreed to divide German into separate administrative zones, with lines mostly “dictated by military chance and necessity” (p.99). They initially intended to unite Germany into a single administrative and economic unit (Berlin, located within the Soviet sector, was jointly occupied by the Allied powers and itself subdivided into sectors). At the insistence of Charles de Gaulle, France joined the group subsequently. Although the four countries held discussions through 1947 about definitive arrangements for Germany, differences between the Soviet Union and the Western Powers – and to a lesser extent between Britain and the United States on the one hand and France on the other — precluded a unifying agreement. The Potsdam powers’ strategy centered on what came to be known as the “Five Ds”: demilitarization, denazification, democratization decentralism, and decartelization. The United States first used the term “denazification” in 1942 to refer to reform of a future German legal system. But the term, which Taylor uses in his sub-title, soon encompassed the other “Ds,” becoming a “catch-all phrase, covering plans to dismantle the entire Nazi apparatus, arrest and punish its key officials, and systematically eliminate Nazi supporters from the country’s political, economic and cultural life” (p.254). Denazification in this broader sense was a project to change the mentality and culture of Germany so that it would no longer threaten world peace, “perhaps the most ambitious scheme to change a nation’s psyche ever mounted in human history” (p.222), Taylor contends. faced with the duty of ruling, feeding and keeping order among seventy million or more Germans in a country whose infrastructure was largely wrecked, its industry and agriculture severely damaged, and whose towns and villages were flooded with homeless refugees and non-German “displaced persons.” Clearly, the country (that was no longer technically a country) needed governance (p.100). As Taylor demonstrates, the four powers performed their task of providing governance – and imposing some degree of accountability — unevenly, imperfectly and differently. Taylor pays scant attention to the Nuremberg war crime trials, the best-known exercise in imposing accountability. The primary Nuremberg trial began in November 1945 against 24 high-level Nazi party leaders, the most notorious members of Hitler’s inner circle. To Taylor, Nuremberg amounted to little more than a show trial in the literal sense, a show “on a grand scale,” intended to “clearly impress the world with the crimes of the Nazis – but also with the fairness of Allied justice” (p.234). The trials continued for nearly a year, with extensive coverage in newspapers and newsreels. “Every day, the men who had ruled without pity over the fates of millions sat in [the] courtroom, crowded in there with their accusers, their defenders and the host of observers in the witness galleries from all over the world, who were hanging on their every word, interpreting their every argument and remark” (p.235-36). Although there were additional Nuremberg trials against lesser Nazi party members, the main series of trials against the 24 Nazi leaders ended 11 months later, in October 1946, with a mixed bag of acquittals and convictions, including several death sentences. Taylor is more interested in how the Allies treated lower level Germans, the “plausible businessmen, the colorless civil servants and the wealthy and powerful backers without whom [the Nuremberg defendants] could never have taken power” (p.236). These Germans were also subjected to a reckoning process, in many case justly, but “often not, because the victors’ justice could be ignorant and capricious” (p.236). Initially, each power was faced with the daunting task of assessing nearly every surviving German’s role in the Nazi regime and meting out punishment according to the degree of involvement. There were approximately 8 million Nazi party members in 1945, with perhaps as many as 35 million other Germans who had a Nazi connection. If all were to be subject to imprisonment or loss of job, roughly half of Germany’s population would have been “stripped of its civil rights and reduced to virtual economic inactivity at a time when the country needed every productive hand and capable, experienced brain it could muster” (p.255). Throughout the four zones, all major industrialists were subject to interrogation. Punishment for other Germans was “largely dependent on luck or cunning” (p.85). Those Nazis tried first were treated more harshly than those tried later, an obvious incentive for delay. The Allies were helped immensely by the work of an heroic German, Hanns Huber, who in April 1945, just weeks before the Nazi capitulation, was the manager of a paper mill near Munich. As the Allies closed in, a Nazi official visited Huber’s mill to tell him that a large amount of paper was about to be delivered and must be destroyed immediately. Somehow, Huber divined that the bales of paper suddenly on his property contained documents on every Nazi Party member since the party’s inception, with photographs and information about individuals’ involvement in party activities. Miraculously, Huber managed to refrain from burning the bales. After the war, Huber brought the bales to the attention of the Allied forces. The Allies initially showed surprisingly little interest in their content. It was not until November of 1945 that they seemed to grasp fully the treasure trove Huber had handed them, the “most valuable resources the Allies had in their mission to cleanse post-war Germany” (p.252). Through Huber’s heroics, even the most minor and inconspicuous party member suddenly had “no place to hide anymore” (p.252). The United States and Great Britain attempted to classify Germans into five categories, according to their involvement in Nazi party affairs and subjected only “major offenders” and “offenders” to removal and exclusion from public office, and from high level positions in leading enterprises. The definition of “major offenders” and “offenders” was broad and vague, leaving much room for uneven application. The terms applied to party members who had been “more than nominal participants in [party] activities;” all “active supporters of Nazism or militarism” and “all other persons hostile to Allied purposes” (p.254). The Americans were more zealous than the British in pursuing party members. Far fewer Germans with Nazi connections were dismissed from their jobs or refused employment in the British sector and they were, for the most part, “small fish” (p.311). Both Britain and the United States engaged in a deliberate policy of enforced deprivation of the German populations in their zones, Taylor argues. While Germany had been able to feed her citizens during the conflict, after the war, the “overwhelmingly majority” of the German people were “not just hungry but starving, slowly” (p.195). American Military Governor Lucius Clay thought some “cold and hunger will be necessary to make the German people realize the consequences of a war which they caused” (p.172), a view with which his British counterpart, Field Marshal Bernard Montgomery, concurred. Their move away from punitive deprivation “occurred with painful slowness” (p.220). To some extent, Great Britain administered its zone using the model derived from its colonies. This approach had positive aspects, such as a “principled fairness on a daily basis, a keenness to promote education and democratic institutions, [and] a healthy pragmatism” (p.306). But Britain also drew upon its imperial traditions in less attractive ways. Some observers saw similarities between the arrogance of the British administration of Germany and the empire’s “brutal treatment of recalcitrant natives in India and Africa and South-east Asia” (p.307). Both the Soviet Union and France departed significantly from British and American approaches in the administration of their sectors. The Soviets utilized a core of German Communist party members to set up “something resembling a ‘normal’ administrative network in its zone” (p.97). The Soviets recognized that former Nazi party members could turn into good Communists. Communism was like the Catholic Church, Taylor contends, it “allowed for the possibility of redemption.” Given the Communist view of Nazism as the final, desperate phase of capitalism, “there was always a kind of moral opening for those who admitted their mistakes – who repented” (p.330). The Soviets paid close attention to Germany’s education and legal systems, where the Nazis had exercised particularly tight control, and tried to “communize” them. But the Soviets also took over the old Nazi concentration camps and made a nearly seamless transfer to Soviet control, running them in almost the same way they had been run during the war years. Further, the Soviet Union was determined to exterminate the Junker class, Germany’s “White Russians,” i.e. “reactionary class enemies” who had been the “backbone of the German militarism that had allowed Hitler to devastate Europe” (p.276). The Soviets confiscated almost all Junker property. But the Soviets, whose “mode of conquest, administration and exploitation of Germany’s human and industrial resources was anything but soft,” were the only occupiers who “allowed some leeway for the German population in the ‘guilt question.’” (p.173). Although they came down “brutally, even murderously hard on evident war criminals or recognizable ‘class enemies’” (p.255-56), unlike the British and Americans, the Soviets imposed no anti-fraternization rules on German citizens. 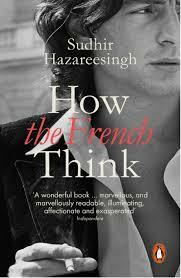 Taylor characterizes French denazification as a “curious mixture of cynicism and idealism” (p.317). The French believed in épuration, or purification, rather than simply denazification. This meant that they started with the notion of collective guilt — that all Germans should be held responsible for the excesses of the Nazi regime, regardless of their degree of involvement in party affairs. The French also rejected the view of the other three powers that Germany should ultimately be reunited into a single country. De Gaulle “did not even pay lip service to the notion of a single post-war German entity run from Berlin by the four Allied powers” (p.313-14). Rather, De Gaulle wanted to keep Germany divided and weak so that it would “never again be capable of attacking France” (p.313). Unlike the other three powers, he seemed to encourage the division of Germany into independent mini-states, not unlike the Germany of the 18th century, a patchwork of small (and presumably harmless) duchies, kingdoms and provinces. Further, the French pushed most aggressively for reparations, and in particular envisioned keeping control of Germany’s industrial heartland, the Ruhr Valley. In the immediate aftermath of the war, the French regime came close to the USSR in “bad behavior” (p.144). It compiled a dubious record of taking care of German POWs in their zone, using them for reconstruction work in France. Taylor estimates that at least 30,000 such POWs might have died in French captivity, “of starvation and malnutrition, of disease and neglect and mistreatment” (p.316). But by 1949, the French had overcome their reputation for “revenge and occasional individual brutalities,” leading Taylor to conclude that denazification in the French zone by that time “may well be classed as the least harsh” (p.322). 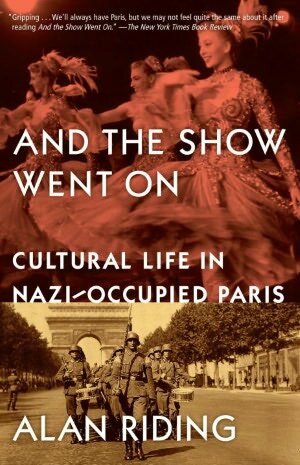 Taylor concludes his thoroughly researched and lucidly written account by demonstrating how American, British, and French denazification policies gave way to the realities of the Cold War. The three Western powers’ need for a relatively strong Germany as a bulwark against Soviet expansion came into sharp focus in July 1948, when Stalin blocked land access to Berlin. The Western Allies responded by launching an airlift to supply the 2.5 million residents of the city’s Western sectors. The Berlin blockade marked a turning point, making “heroes of the Berliners” who became, in Western eyes, “Cockneys with a German accent” (p.350). Then, in 1949, the three Western allies put aside their differences and acquiesced in the creation of the Federal Republic of Germany. The following year, halfway around the world, North Korea invaded South Korea. It was at that point in 1950, Taylor contends, that the Western Allies fully and finally realized how much they needed a strong Germany. The Korean War thus marked the beginning of the end of denazification — “perhaps the most ambitious scheme to change a nation’s psyche ever mounted in human history” (p.222) — as the process of reckoning yielded to other priorities.